Located in the heart of the Rio Grande Valley, our Harlingen warehouse services an area that includes southern Texas and northern Mexico. Our bilingual sales staff has the knowledge and experience to meet all your steel needs. 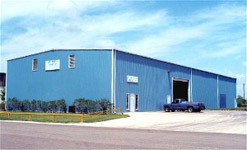 In addition to providing carbon flat-rolled sheets and coils, CSC-Harlingen also carries a variety of stainless steel, aluminum, structurals, bars, pipes, angles, building components, and more.